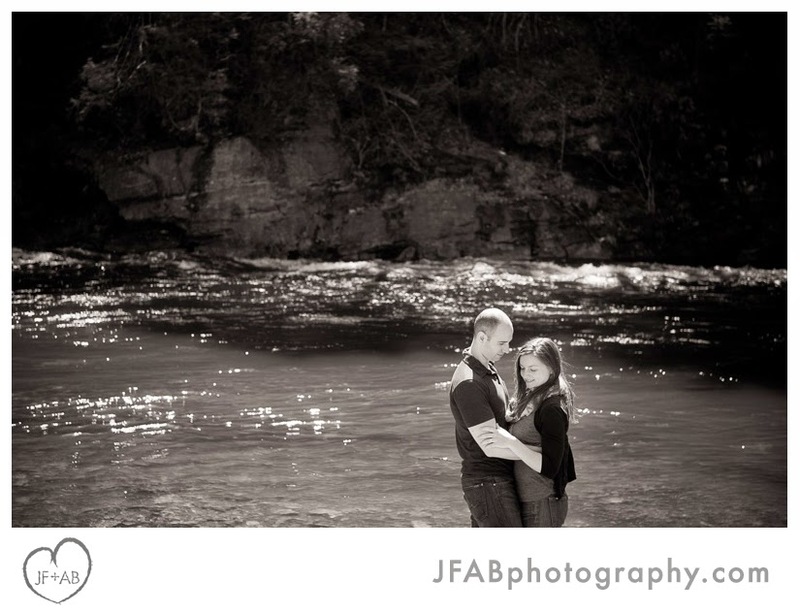 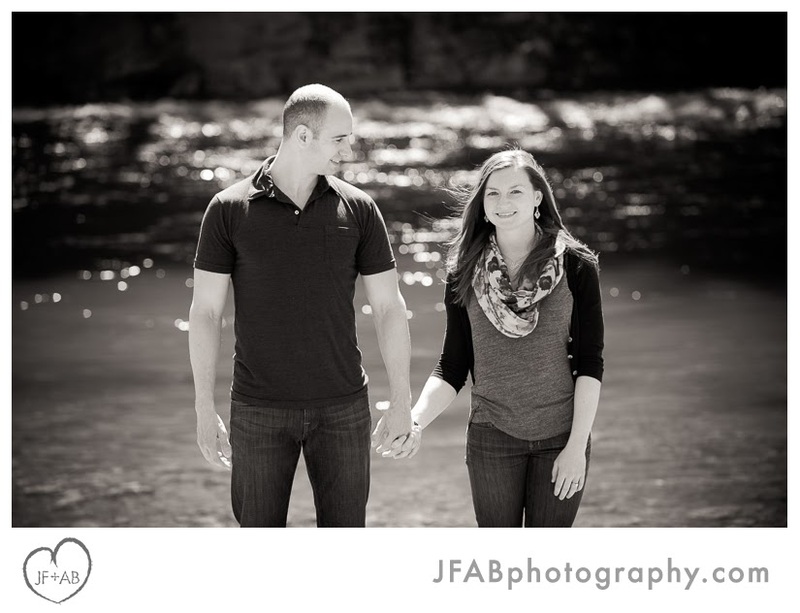 JF + AB Photography Blog: Valerie and Andy | Engaged! 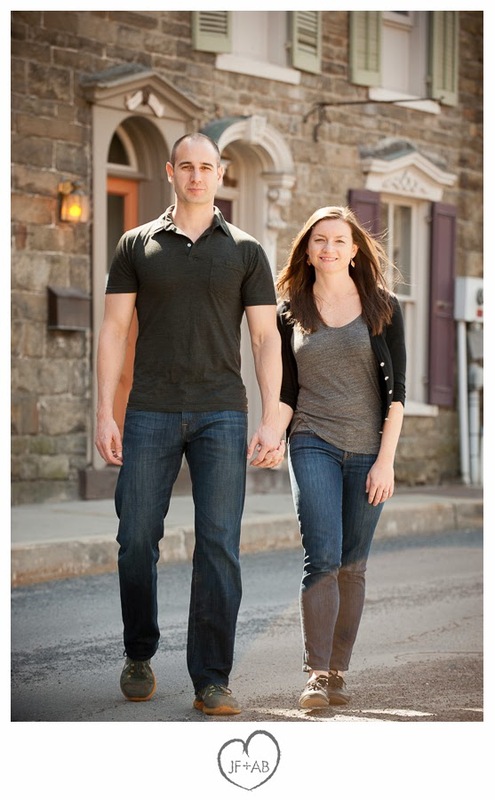 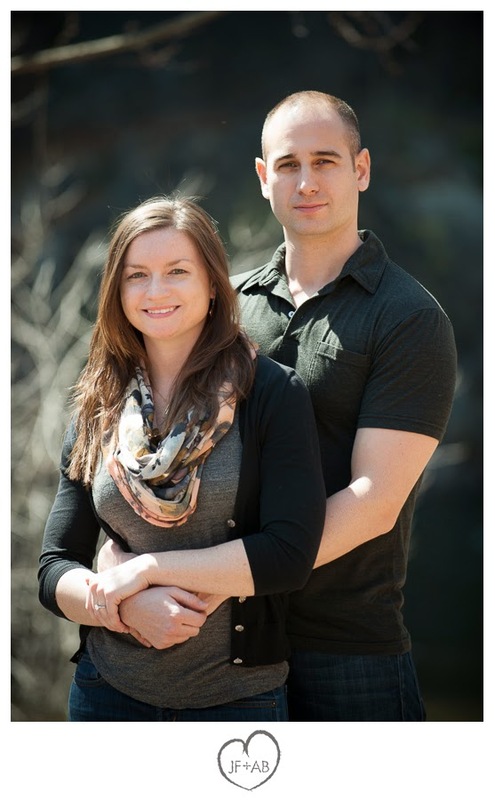 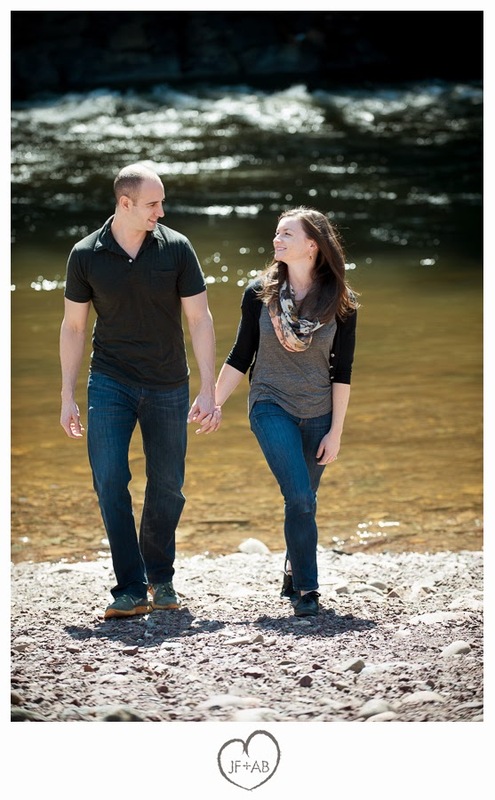 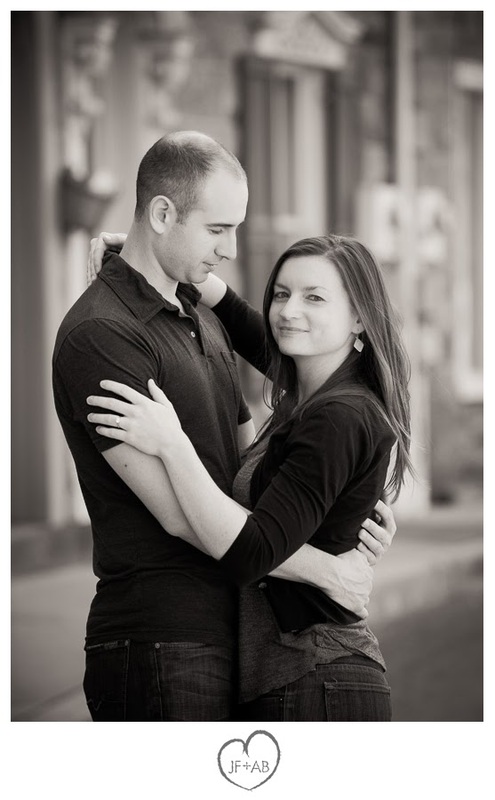 Valerie and Andy | Engaged! 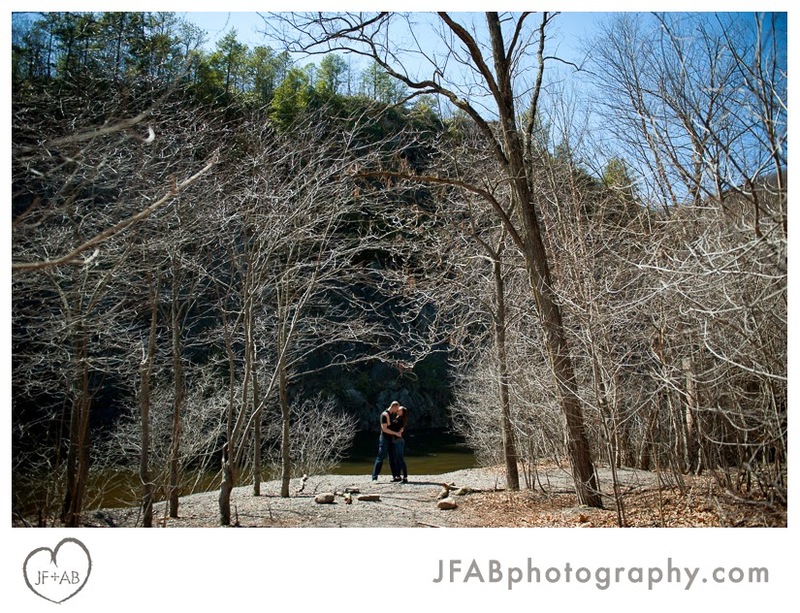 Passing through the Poconos on their way back to Hoboken, Val and Andy stopped by to see us on a gorgeous spring day for their engagement photos. 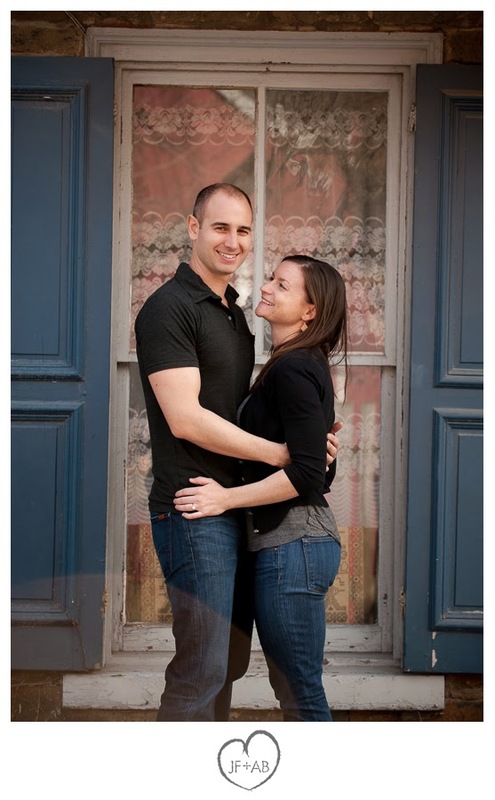 Andy is a fire captain and Val works in advertising and they've known each other since they were teenagers. 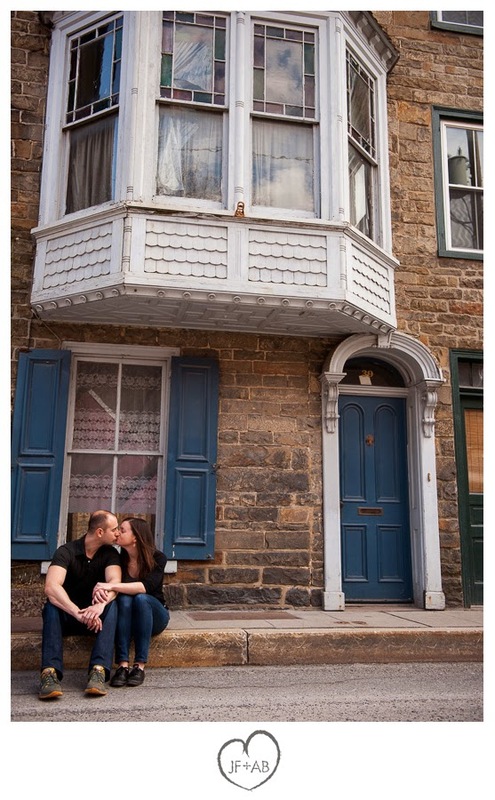 The light was nice down by the river (where Andy had rafted several years ago) and we had a great time taking a stroll down Race St., shooting at Jim Thorpe's "stone row." 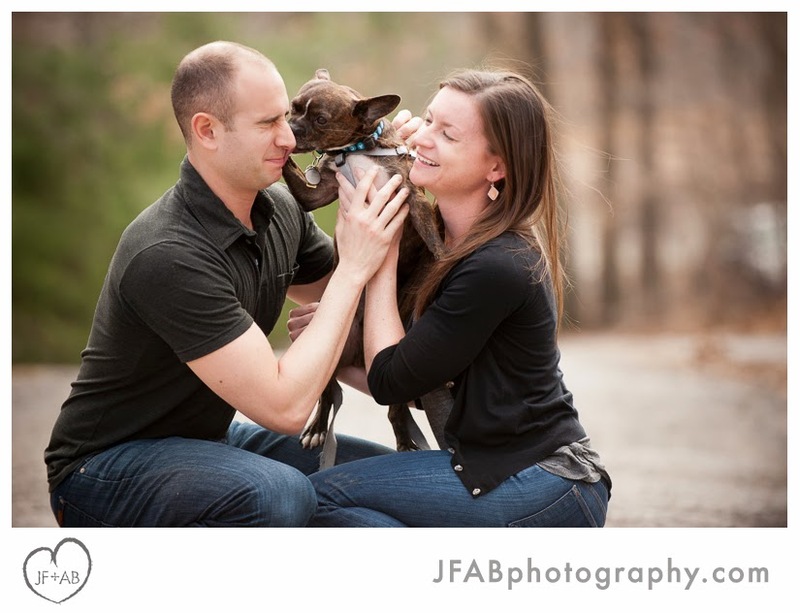 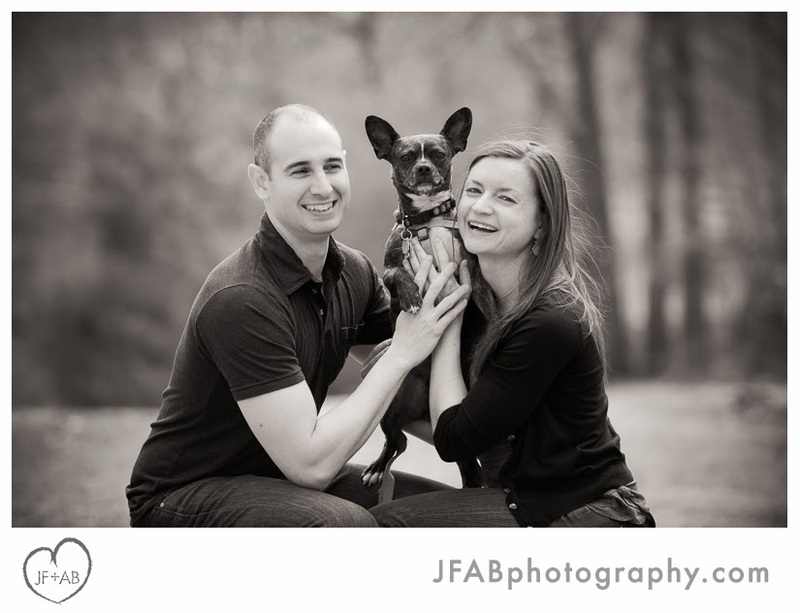 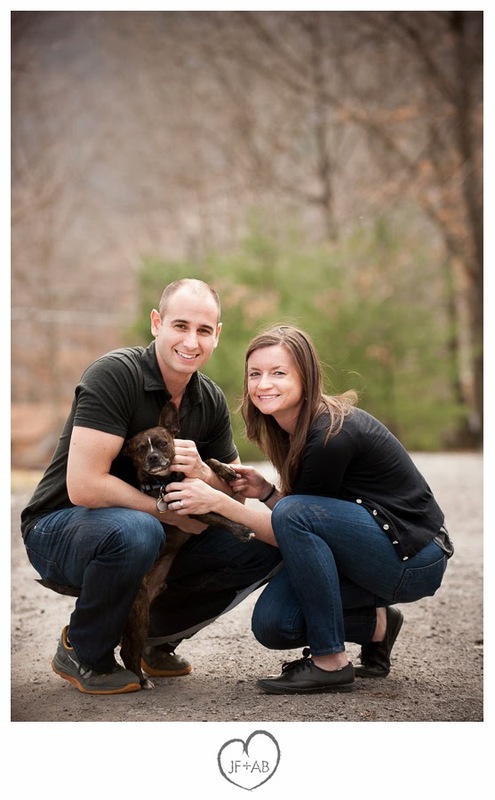 They had their adorable puppy Ralphie in tow so of course we worked him into a few photos at the end of the session. 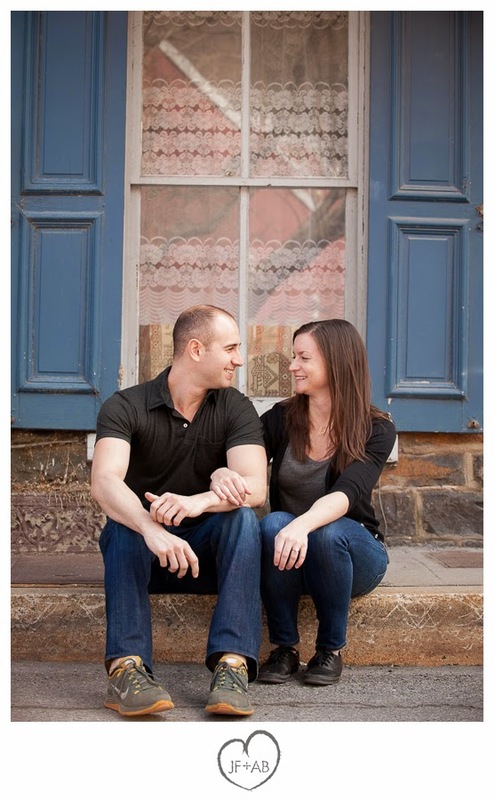 Scroll on to check out some of our favorites!